Bayfield Ontario is a small town on the Lake Huron Shore found between Grand Bend and Goderich. Its population is around 500 through the off season but more than doubles through the summer cottage months. The town is know for its 2 mile long sand beach, harbour, vibrant downtown and events like the Bayfield Fair and Christmas in Bayfield. 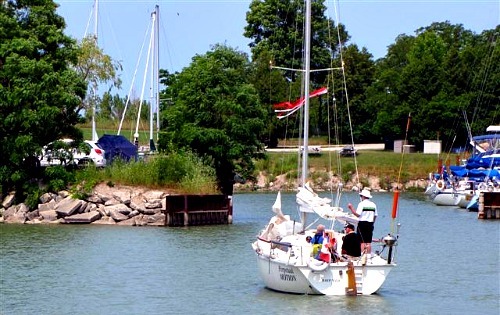 There are two marinas in Bayfield of which the Bluewater Marina is operated by the municipality. Here there is a gas bar and room for 60 seasonal dockages and 20 transient docks. The Harbour lights marina is larger and is where many of the local community keeps their pleasure craft. There is room for 250 boats and 40 transient boaters. There is a tennis court, laundry facilities, swimming pool and even a 1940's fire truck that will give you a ride downtown. 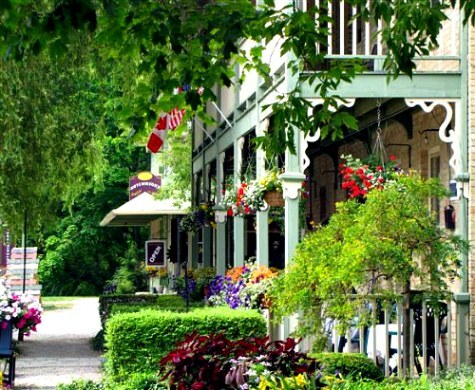 The population of Bayfield in the summer months are mostly tourists which means you have a choice of hotels and bed and breakfasts in Bayfield. Two of the hotels date back to the 1800's of which the Little Inn is the oldest continually running hotel in Ontario. The Albion Hotel is also know for its ghost and unusual drink concoction that is set at a limit of three. In addition there are cottages to rent, trailer parks, campgrounds and motels in the surrounding area. Bayfield campgrounds include the Bluewater Golf course and campgrounds, Wildwood by the River, Sugar Bush Campground and Paul Bunyan Lake front resort. Considering the size of Bayfield it has a surprisingly diverse downtown shopping area. Littered with boutiques and art galleries this tourist town is one that shoppers will enjoy. In addition to having an abundance of boutiques the area is also designated historic site and traditional cement or paved sidewalks are forgone for the original dirt trails. This small town may not be party central like close by Grand Bend but it isn't exactly sleepy either. Some of the hotels and large patios can get quite lively in the summer months. 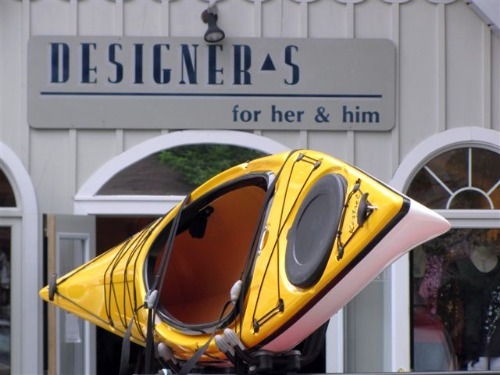 Bayfield Ontario epitomizes the dramatic change small Ontario lake towns experience through the tourist fueled summer months. A blossoming population that can experience everything this historic cottage town has to offer. A special thanks to Ruth Claessens for all the pictures of Bayfield. Return HOME from Bayfield Ontario.